The weather has turned much colder since I last posted, dispelling any lingering memories of the summer and heralding the onset of another brutal North-European winter. When I was younger I used to quite like autumn and the winter months; walking to work in the crisp cold dawn and spending the long dark nights drinking and socialising by friendly fires. Now, as the leaves fall and the darkness draws in, I can’t help but reflect gloomily on the season just past, and how it is likely that I have more summers behind me than lie ahead. Recent years have seen me go out a lot less in the winter, a trend exacerbated by my growing addiction to the internet. Brave the icy winds to meet friends in a crowded bar, or enjoy wandering on a (virtual) tropical beach? Drive up into the mountains for a day of skiing, or curl up with my laptop and read about someone else doing it instead? Looking out the window at the grey sky, it seems like an easy choice. I do make more of an effort to leave the house during the warmer weather, usually going to the park with a book. I did perhaps read a bit less this summer, now I’ve got an iPhone, which lets me get my cyber-fix even when I’m out and about. The city where I live has a “no drinking in public” ordinance though, which means if I am minded to take a small refreshment and/or a discreet smoke while reading, which I often am, I am obliged to remove myself to the quieter corners of the park where the other substance abusers hang out, and where it is rarely advisable to flash expensive electronic gadgets, so the low-tech book still comes in handy for entertainment. What I’m reading at any given time is largely dependent on what happened to be on the shelves of my local second-hand bookstore the week before, but I do try to rotate through a cycle of contemporary fiction, classic literature and non-fiction, padded out with a lot of pulpy sci-fi. This summer I finally got round to buying a copy of Lunar Park, which had been on my “to-read” list for ages. Bret Easton Ellis is one of my favourite living authors; when I daydream about writing a novel his is the style I imagine myself emulating. I like the way he can build a sense of dread and paranoia from deceptively banal descriptive prose; never has an appreciation of the work of Phil Collins sounded so terrifying. 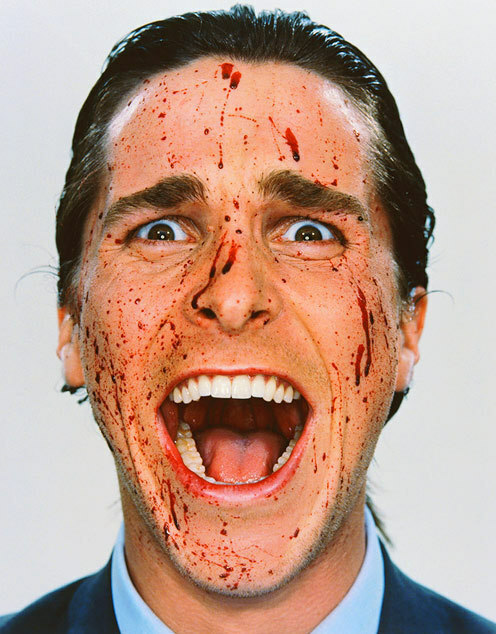 American Psycho is easily his best work, maintaining a thoroughly unsettling tone from start to finish, thanks to a central character at once monsterous and comic, insecure psychopath Patrick Bateman. Ellis’s other novels are more patchy; Less Than Zero is certainly efficient in evoking a sense of ennui, but as a result it rather lacks narrative momentum, similarly Glamorama‘s characters are so authentically shallow that it is hard to remember who they are let alone care what happens to them. Lunar Park isn’t as good as Psycho but it is very entertaining, particularly the opening chapters where Ellis constructs a plausibly alternative autobiography, before setting up an intiguing suburban horror story. It flags a bit in the last third, when the subtext overwhelms the narrative to some extent, but the themes of loss and regret are mostly woven into the story in a pleasingly organic fashion, and the ending is unexpectedly poignant. I’ve picked out a few volumes to get through before the end of the year, and I’ll try to write some brief notes on them, since I think this blog would benefit from some more intellectually challenging content amongst the pop-culture ephemera. Scary, but Bret Easton Ellis is one of my favorite writers, and I’d agree that American Psycho is top of my list. If you’re looking for something a little offbeat but ultimately satisfying, a friend of mine in Second Life recommended Pedro Paramo by Juan Rulfo. He only wrote the one novel but that’s all he needed because it is a hauntingly strange story that’s surreal yet compelling. And I, too, have been out of SL for a while due to real life stuff, and that includes reading books instead of wandering the metaverse 😉 Treat yourself to Rulfo for Christmas reading; as a “shrink,” you’ll be fascinated! Thanks for the tip. It’s one of those books that I feel I should have read, but have never got round to. That’s true of the whole magic realism genre come to think of it. Good to see you back in the saddle. I hope things are going well in RL.